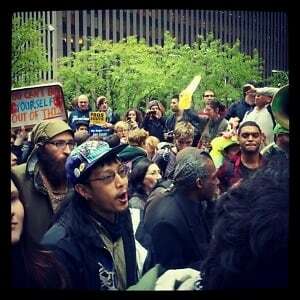 Occupy Wall Street protesters are coming out of hibernation today for what is expected to be one of the biggest and most wide-spread Occupy Wall Street protest yet. 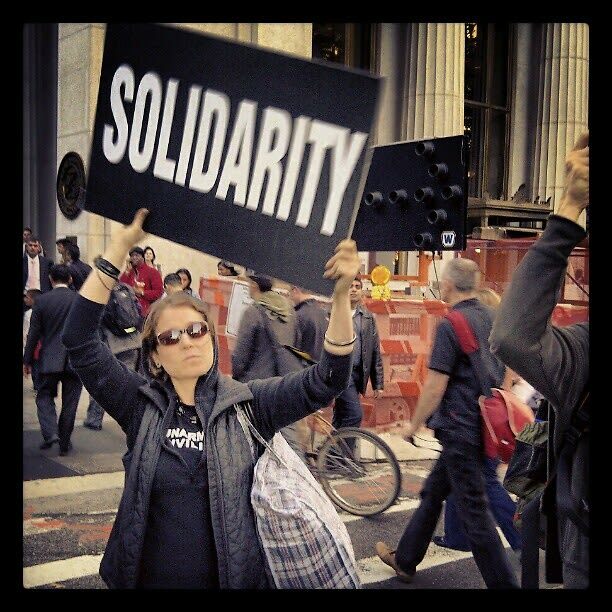 Occupy Wall Street related events are planned for today in 115 cities throughout the US, though the biggest and most vocal will be here in NY. 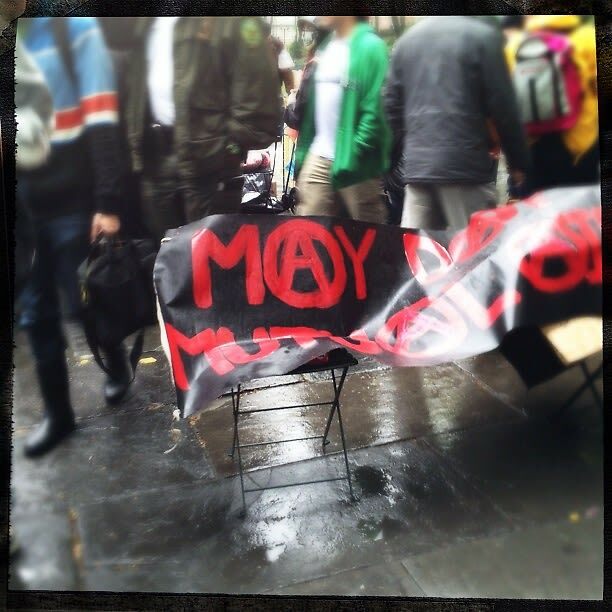 Protesters gathered in Bryant Park early this morning before leaving for various demonstration sites throughout the city. At 4pm, all NY protesters will gather in Union Square for the Solidarity Rally, and at 5:30pm they will take part in the Solidarity March down Broadway to Wall Street. When the March concludes, there will be an after-party in the Wall Street area for all those who took part in the protest. There will be protests taking place across the city all day, and you can check out the full schedule HERE. 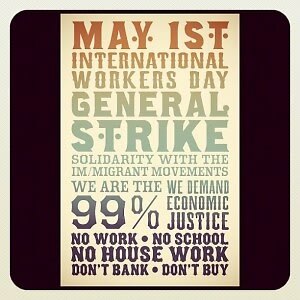 Today's "general strike" is OWS' attempt to rejuvenate the movement after a long and quiet winter. Is today a preview of what we can expect for the rest of the summer? 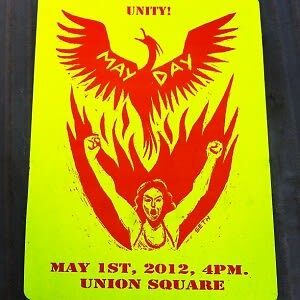 Head over to Union Square at 4 to check out the action!